Oh. You thought we were all done with our 2017 COLLEGE FOOTBALL PREVIEWS??? 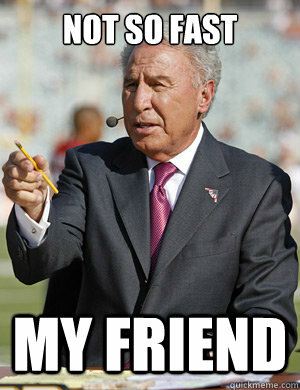 That’s right Lee Corso! We aren’t quite done yet! Oh no! Not by a long shot. Before we wrap up our college football predictions and point our wagons to the regular season, we have to predict the most important part of the college football season. THE BOWL GAMES AND THE PLAYOFF TEAMS!!!!! So here you go. Which teams will be playing where when bowl season arrives in December?